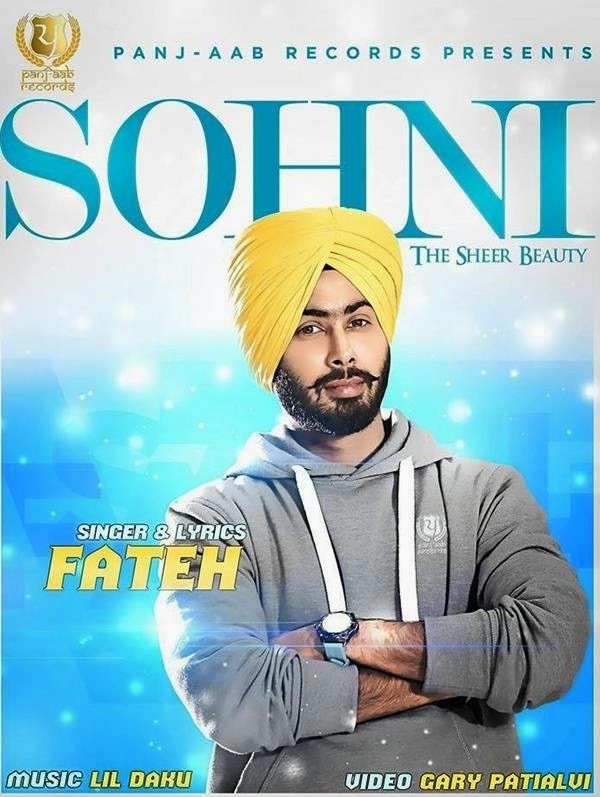 Fateh's Sohni - The Sheer Beauty Featt Lil Daku Out on Panj-Aab Records, Koi Jag Te Na Sohni Honi Tethon Vadh Ke, entitled 'Sohni - The Sheer Beauty' is brand new track from Music Label Panj-Aab Records featuring a Newcomer Singer/Song Writer Fateh. Fateh's Sohni - The Sheer Beauty Feat. Lil Daku: Koi Jag Te Na Sohni Honi Tethon Vadh Ke, entitled 'Sohni - The Sheer Beauty' is brand new track from Music Label Panj-Aab Records featuring a Newcomer Singer/Song Writer Fateh. Music of the song is produced by Lil Daku and Video is directed by Garry Patialavi.